Who is it for? 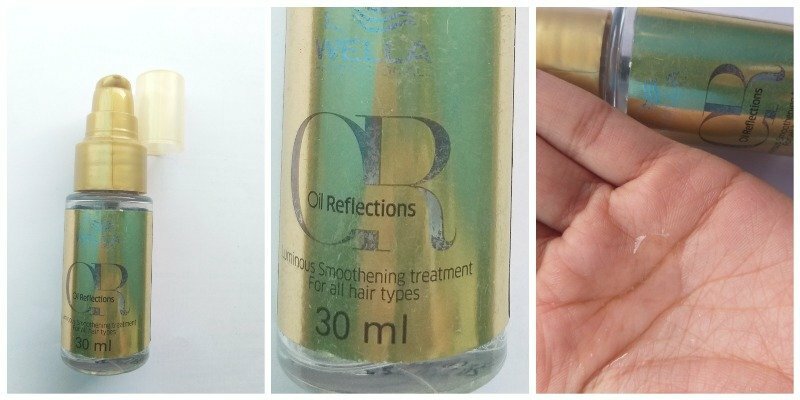 Wella Oil Reflections Luminous Smoothing Treatment makes your hair shiny, smooth and frizz free. Shake before usage. Distribute 1-2 pumps into the palms of your hands, then apply evenly throughout your mid-lengths and ends. It comes in a transparent bottle with a label on it that contains all the details about the product. It has a pump dispenser which I really like. Overall the packaging of the product is really good and convenient. It is transparent in color and has a serum-like consistency. It is extremely smooth in texture. This smells amazing, I can literally smell this all day long. After applying this my hair feel extremely smooth. It also makes my hair shiny and frizz free. Its fragrance is to die for. My hair feels really good after applying this. It also makes my hair manageable. You might find it a bit expensive but when you use it you can feel that it is a luxurious product. It’s a little expensive but totally worth the price. You should definitely give this a try.